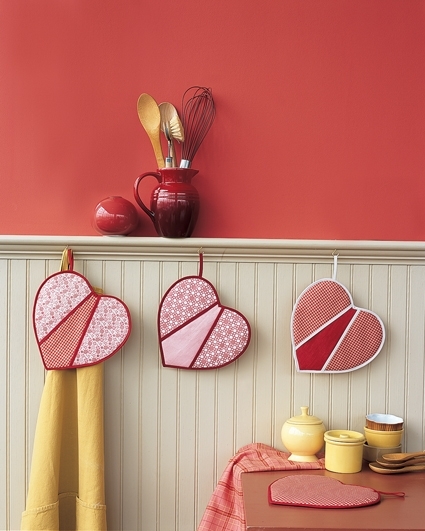 Heart-shaped pot holder pattern template, download here. Cut one along the solid line for the fabric hearts. Cut one along the inner dotted line for the batting. Cut one along the diagonal line for the fabric pockets. Stack 3 layers of cotton batting and fold them in half; align the batting template’s straight edge with the fold, and cut it out. 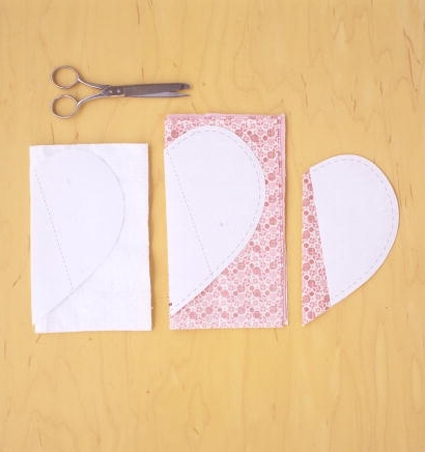 Fold 3 stacked 12-inch squares of cotton fabric in half; align the heart template’s straight edge with the fold, and cut it out. 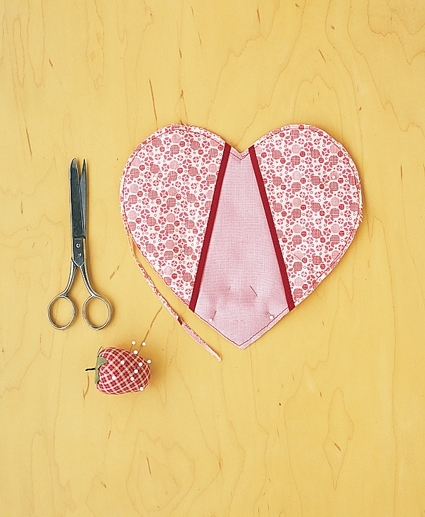 Lay the pocket template on one folded fabric heart; cut on the diagonal line for pocket. Pin bias tape in place along the straight edges of the pockets and sew; backstitch the ends. 1/4-inch seam allowance. 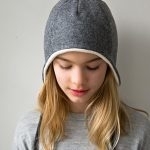 Trim the edge as close to the stitching as possible. under. Sew a 5-inch piece of bias tape, ends turned under, into a loop. Pin and stitch to pot holder. 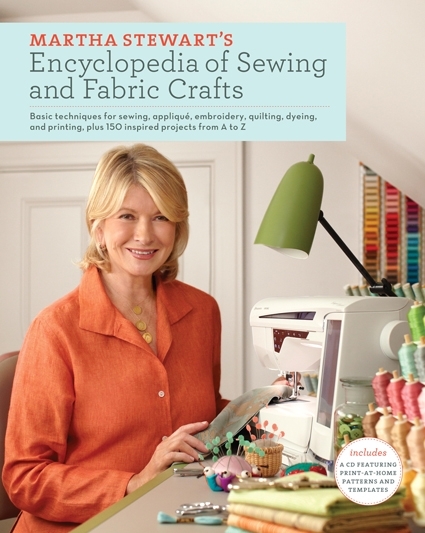 Announcement: Martha Stewart’s Encyclopedia of Sewing & Fabric Crafts Launch Party and Free Heart Shaped Potholder Pattern! Thanks for the pattern and tutorial. I made them. I actually have the insulated hotpad batting on hand and want to use that. Do you think I would still need 3 layers of the insulated stuff, or since it's thicker could I get away with 2 (or even1)? 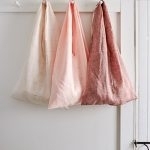 Such a cute thing, and depending on the fabric could be made for anytime! You might want to try downloading it from another browser. If that doesn't work please let us know and we can email you a pdf. I made up a pattern like this a few years ago. I have found that running a line of stitching down the center of the heart vertically makes them fold in your hand easily when you slide your fingers/thumb under the flaps. Enjoy! Made them….very cute and easy….project I can use in teaching!! 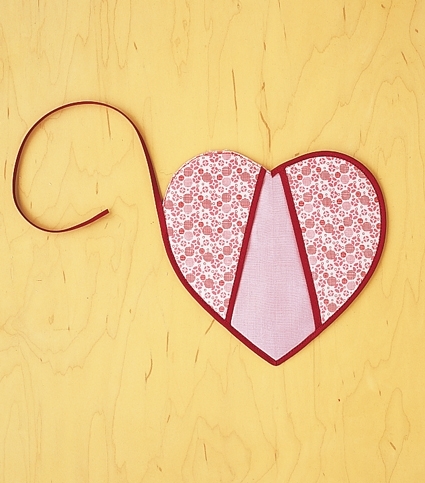 I also could not download PDF for Heart Shaped potholder.. Many thanks-love it. If you’d like to download a PDF of the entire tutorial, simply click PRINT at the top right hand side of the post and then click SAVE AS PDF. Please let us know if you continue to have any issues. potholder. I would appreciate it if you would please send me another instruction sheet, pattern, etc. so I can make it. Also, how do I order the book? 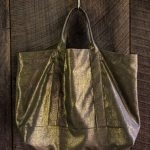 Is it still available. Thanks. 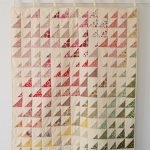 If you would like to download the pattern (separate from the template), you can do so! If you’re on a desktop version of the site, you will find a “print” icon in the right column just below the date and tags. If you’re on a mobile version of the site, you will find a “print” icon below the pattern and above the comments.